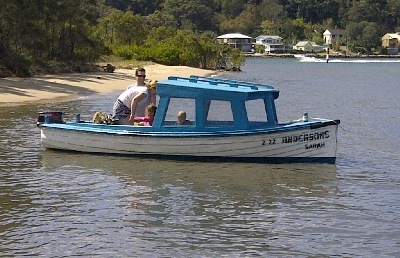 Our most popular hire boat, capable of up to 6 people. The boat is very stable, ideal for children and the front half of the boat is fully enclosed, protecting you from the breeze and seaspray. Hire fee includes the boat, fuel, anchor and fishing licence exemption. All hires can only be driven during daylight hours.